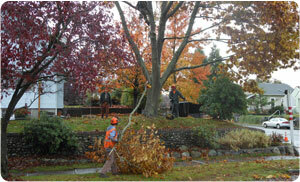 Hunter's Tree Service provides professional, safe and quality tree services in Fircrest, WA. Tree services provided by Hunter's Tree Service in Fircrest, WA include: Tree Removal, Tree Trimming, Tree Pruning, Stump Grinding and Logging. Tree Removal is recommended when there is no treatment options for a diseased or dying tree. Let Hunter's Tree Service safely remove your problem tree in Fircrest, WA. Tree Trimming is essential to maintain healthy trees. Our tree trimming service can help you maintain healthy and strong trees. Tree Pruning employs the art of cutting the right limbs at the right time of year to promote healthy tree growth. 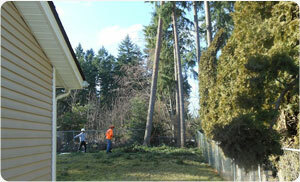 Let us accommodate your Fircrest, WA Tree Pruning needs so your property can maintain healthy and beautiful trees. Stump Grinding is the fastest and most efficient way to remove a tree stump. 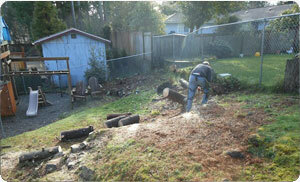 Hunter's Tree Service will professionally and safely grind down your tree stump in Fircrest, WA. Logging is the process of felling multiple trees to clear a swatch of growth. Let Hunter's Tree Service safely and efficiently clear your property in Fircrest, WA of multiple trees. Hunter's Tree Service prepares Arborists reports for a fee in Fircrest, WA . Do you have a tree dispute in Fircrest, WA and need a report by a Certified Arborist? We will send out an ISA Certified Arborist to assess and write up your Arborists reports for a fee in Fircrest, WA. Hunter's Tree Service accommodates emergency storm damage. If you have a tree that has been damaged in a recent storm then call Hunter's Tree Service for emergency tree services. Trees that have been damaged by high winds or ice can be dangerous and it is recommended that you stay away from the tree until it has been assessed by an arborist.